We’ve all heard individual and corporate stories about successful sales on the Amazon marketplace. What we might not have known is that they’ve had professional help. 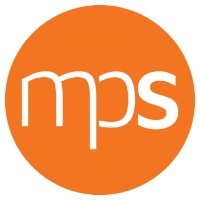 Market Place Strategy, a fast-growing digital marketing agency assists individuals and companies in maximizing their presence on the Amazon marketplace. 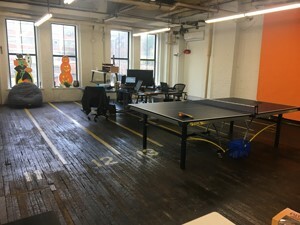 According to Co-Founder Sam Jennings, he and Co-Founder Curtis Rummel opened an office at Tyler Village in January, 2017 after having worked remotely. With the goal of providing sales assistance on Amazon, Market Place Strategy helped increase sales of everything from dolls to beef jerky to Genie Garage Door Openers as offered by clients locally as well as those as far away as Canada and California. The concept works. 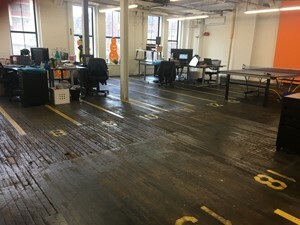 By October 1, the staff had expanded from three to nine necessitating a move from 500 square feet to its current 2,400 square feet. “It sounds like a lot of space but when you take into consideration that we wanted an open format, have a ping pong table and a kitchen, it’s really not that big. We’re predicting that we’ll add 10 more employees by next year which will require another move. We’re confident that we can find something here,” Jennings says. He credits Tyler Village’s Dave Fleming with understanding Market Place Strategy’s expansion needs. “He’s been great at finding larger spaces for us as we grow,” he adds.